Why Saffron is special ? Saffron is the signature restaurant of Banyan Tree Hotels and Resorts, featuring Thai and Indonesian cuisine presented in a contemporary manner whilst maintaining the distinctive original flavours and ingredients of each. Saffron uses a wide variety of components from around these two regions, ensuring its reputation as a truly diverse Asian restaurant. Their resident Thai Chef Pimswat Pairote has concocted a refreshingly original menu featuring fresh ingredients sourced locally from dedicated growers to present you with dazzling selections to whet your sophisticated palate. The restaurant was dim-lit, hence, these kinds of pictures. Red everywhere. Very cozy chairs, eye candy utensils, and very courteous and accommodating staff. How to get to Saffron? You'll realise something - there are some mosquitoes so that you might be better off eating indoors. If you must, definitely wear insect repellent. You should get a table by the window, makes for an awesome view. And 4 colors of rice to match your food choice. 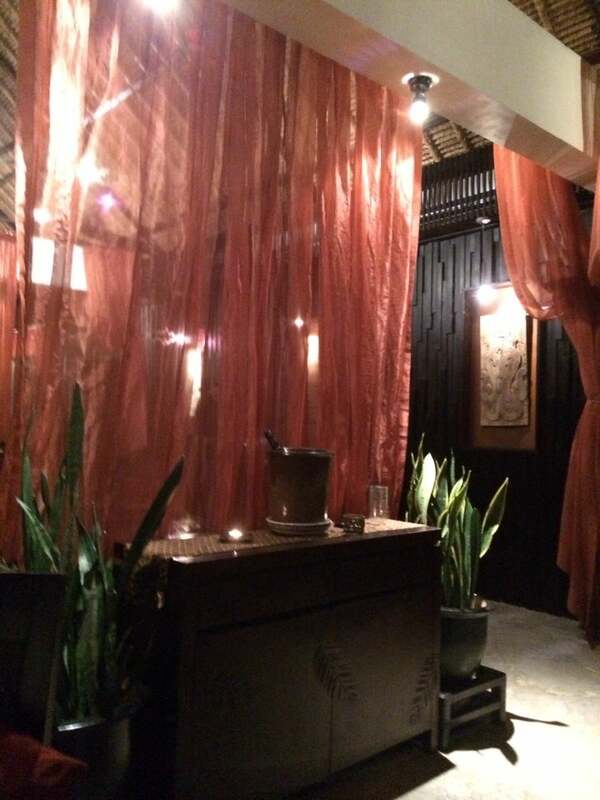 Saffron is also the ideal place for a romantic stylish snug and overlooking a beautiful bay in the south china sea. “A big wow for the food” My husband and I went for a week in Singapore and then 3 days to Bintan island to chill. We read all reviews about the bad quality food there so we didn't have so high expectations. But when we went for dinner to Saffron restaurant at the Banyan Tree resort we were so pleasantly surprised. The restaurant is at the second floor of a building facing the sea (could not see much outside as it was dark). On the ground floor there is a Mediterranean restaurant but the entrances are separate. You can only seat inside and they have good airco. The service is super-fast and attentive. 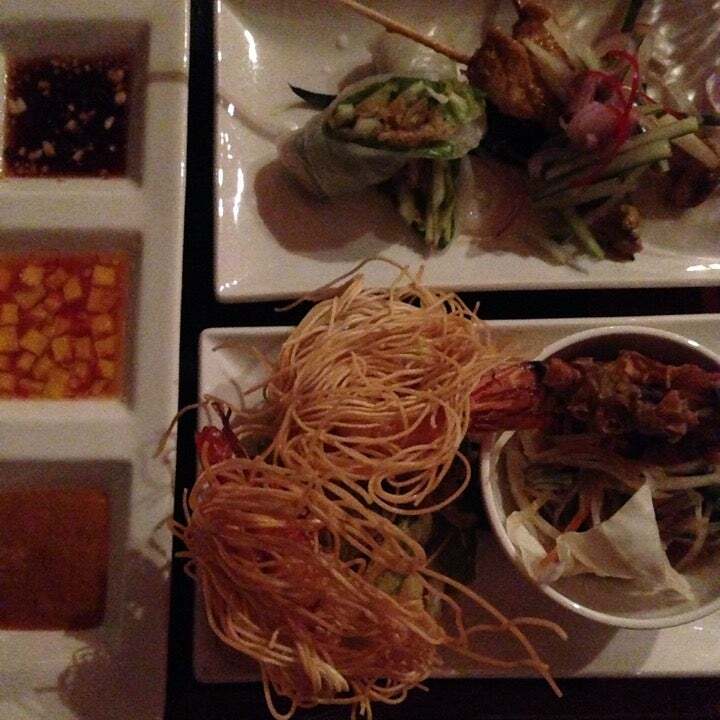 We had as starter one of their signature dishes, a mix of starters: Khong wang Ruan Mitr (Chicken satay, Crisp fried Shrimp cakes Pomelo Salad and soft Shell crab, and Indonesian Gado Gado Rolls). 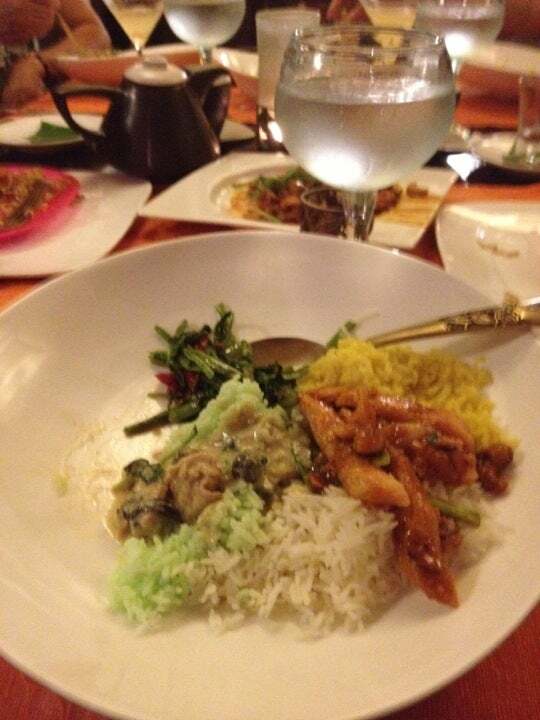 As main dish my husband had some spicy sea food in coconut milk and I had sea fruit with saffron rice. His was better than mine but both were really good. When they serve the main dish you get the "rice specialist" at your table and she presents you 4 different type/ colors of rice to have next to your main dish. As desert we ate a nice mango sticky rice. Delicious unctuous duck red curry, perfect with the sweet grapes and lychee. A rice master serves 4 types of rice!